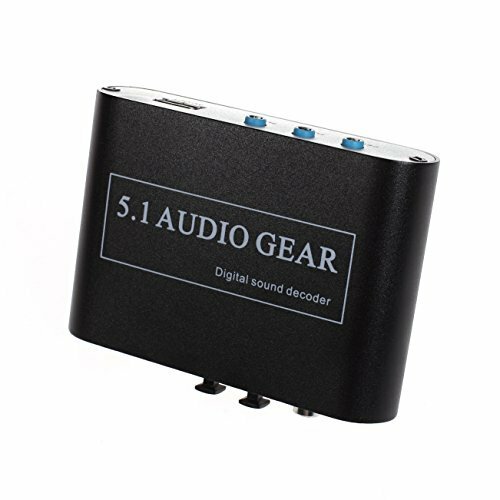 5.1 Digital Audio Decoder uses 24-bit audio DSP, 96 KHz digital receivers, and 192 KHz/24bit ADC and DAC. Supports Dolby Digital AC-3 Dolby Pro Logic, DTS, PCM and other digital audio formats decoding. Works with different amplifier and speakers to get different sound effects. Great for many home entertainment devices with optical or coaxial digital output such as HDTV, Apple TV, set-top boxes, DVD/Blu-ray players, PS2, PS3, XBOX 360 and more. B. Coaxial input: for PC sound card, HD players, set-top boxes, DVD player, etc. E. USB output: Supply 5V power to 5.1 Channel Headphone. If you have any questions about this product by willor, contact us by completing and submitting the form below. If you are looking for a specif part number, please include it with your message.